The Encore E2 Electric Guitar Outfit Includes everything you need to start playing straight out of the box. In addition to the fantastic Encore E2 guitar in a sunburst finish, you also receive a 10 watt Kinsman Amp which features an input socket, gain boost switch, master volume, bass & treble controls and a headphone socket. 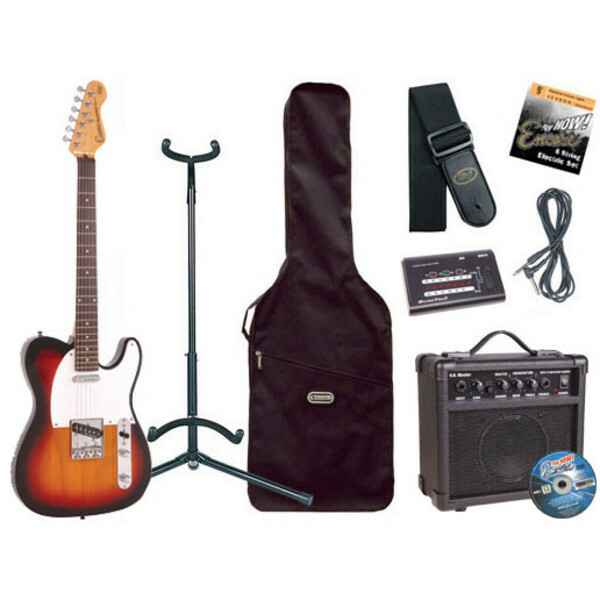 Also included is an instructional DVD, guitar stand, amp lead, guitar strap, plectrum, spare strings, tuner and guitar bag. Everything you need to start playing is all included in the Encore E2 Guitar Outfit, an ideal set for beginner players.